Hypnosis is misunderstood by many. It is often thought of as some type of parlor trick. The truth is that Hypnosis is like a guided meditation where the speaker leads you into a thought pattern that will accomplish the goal of the exercise. You can’t be forced to do anything you don’t want to since your conscious mind is always in direct control. 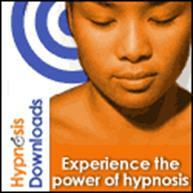 Hypnosis sessions can be very effective when properly planned, organized, and led.